We had a nice sunny couple of days so we went to explore new ground. From a geological point of view Roughton Gill is a very interesting place, it’s apparently a mecca for mineral collectors, but alas all I found was a few quartz crystals. 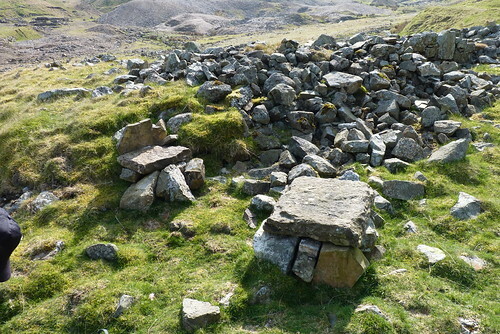 There has been mining here since Elizabethan times, and a vast array of minerals have been found here. You can see a full list of minerals found here. Apparently there are some stunning specimens from this area in the National History museum. It was a beautiful walk on great paths. This is not on the tourist trail so we had the place to ourselves most of the way, no yuppies in brand new gear. I do so cherish some isolation from time to time. 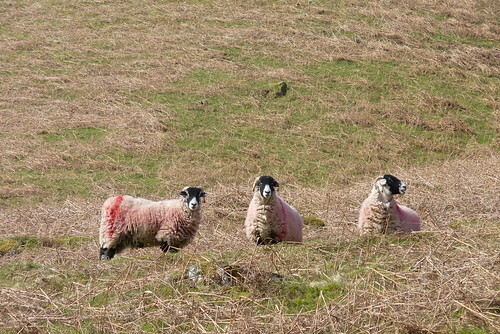 The sheep seemed to take an interest in us . 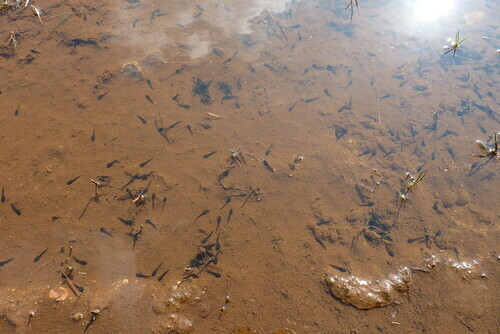 And the puddles had signs of life too. Someone had kindly made some seats so we could have our picnic in comfort. 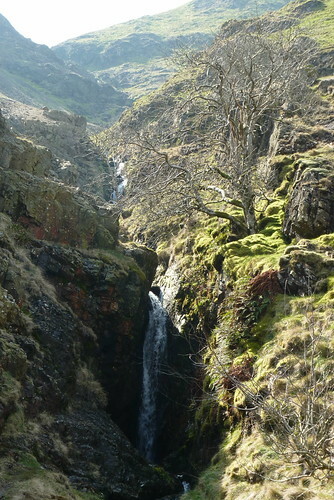 The waterfall at the head of the valley was rather special don’t you think? This will be a walk we will do again in the not so distant future, but now I’m off to do some design work inspired by the rock, lichen and river photos I took along the way. I will show you in another post soon. 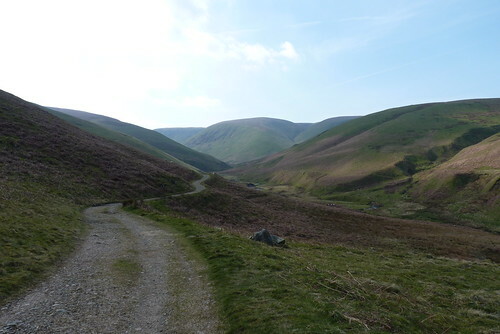 This entry was posted in kiln fired art and tagged Cumbria, easy walks, roughton gill. Bookmark the permalink.